We have been docked the past few days getting the engines running and testing all the systems onboard. We have also had the VHF radio on listening to all the calls. Yesterday a boat called in asking to dock for fuel. The marina responded by asking if they can take 40 gallons/minute. We knew we would soon have a very large boat coming in. Indeed it is too, from New Jersey a very large luxury yacht. Which seems to be the norm around us. 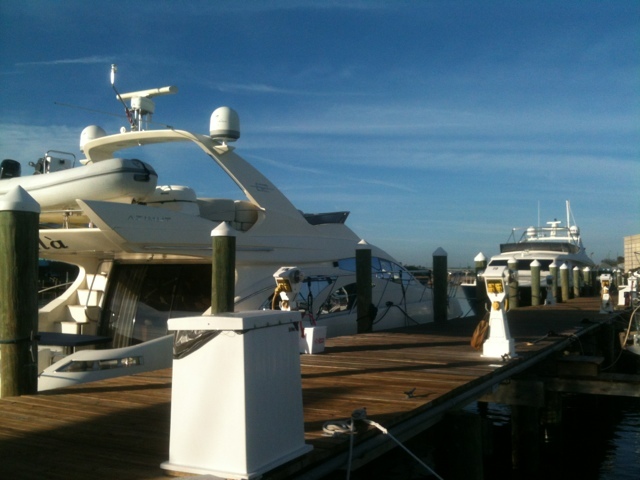 We are surrounded on the dock by multi million dollar yachts. 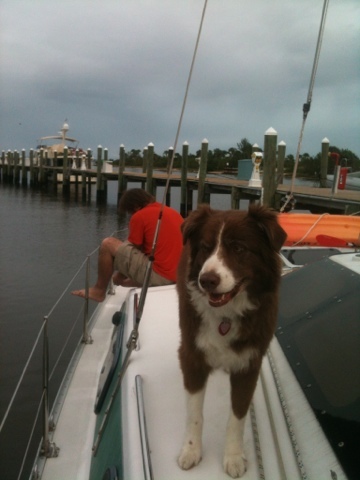 We got the engines running and are taking the boat out to the ICW today to test the engines. We still have a small list of things to get done before we leave the dock.